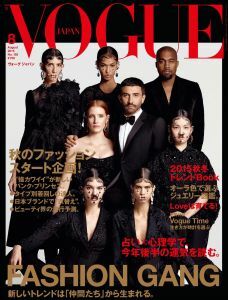 Mica Arganaraz for Vogue Korea October 2018. Mica Arganaraz for Saint Laurent Winter 2018 Campaign. 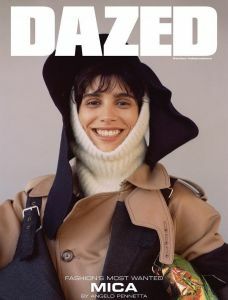 Mica Arganaraz for Dazed Magazine Fall 2018. Mica Arganaraz for Purple Magazine F/W 2018. Mica Arganaraz for Vogue Italia June 2018. Mica Arganaraz for Italian Vogue April 2018. Mica Arganaraz for T Magazine Spain March 2018. Mica Arganaraz for The Gentlewoman no. 17. Mica Arganaraz for Vogue Paris February 2018. Mica Arganaraz for WSJ Magazine February 2018. 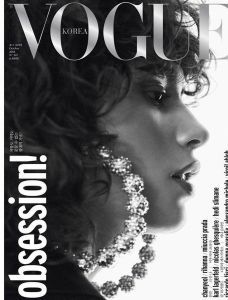 Mica Arganaraz for Vogue Russia December 2017. Mica Arganaraz for Vogue Paris October 2017. Mica Arganaraz for Italian Vogue September 2017. Mica Arganaraz for Saint Laurent F/W 2017 Campaign. 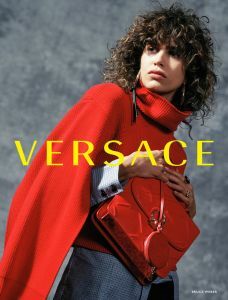 Mica Arganaraz for Versace F/W 2017 Campaign. Mica Arganaraz for i-D Magazine Spring 2017. Mica Arganaraz for Vogue China March 2017. Mica Arganaraz for Vogue Paris March 2017. Mica Arganaraz for WSJ Magazine February 2017. 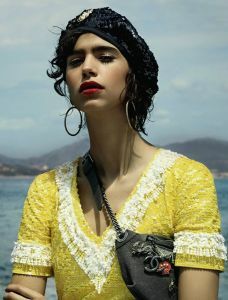 Mica Arganaraz for Chanel Cruise Campaign 2017. Mica Arganaraz for Vogue Paris November 2016. 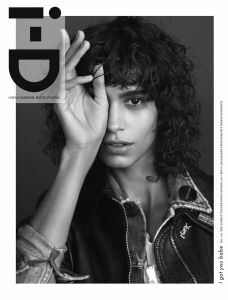 Mica Arganaraz for i-D Magazine F/W 2016. Mica Arganaraz for British Vogue September 2016. 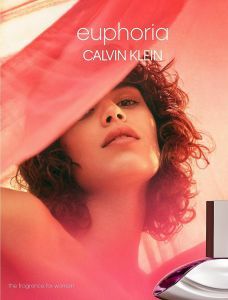 Mica Arganaraz for Tom Ford Fragrance Campaign 2016. Mica Arganaraz for WSJ Magazine September 2016. Mica Arganaraz for Alexander McQueen Fall/Winter 2016 Campaign. 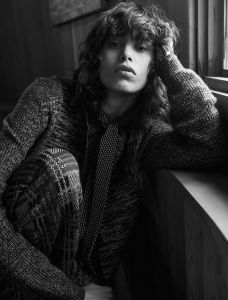 Mica Arganaraz & Louie Johnson for Diesel Black Gold Fall/Winter 2016.17 Campaign. Mica Arganaraz for Karl Lagerfeld Fall/Winter 2016.17 Campaign. Mica Arganaraz for Vogue UK July 2016. Mica Arganaraz for Vogue Paris June/July 2016. Mica Arganaraz for Vogue UK May 2016. Mica Arganaraz for Italian Vogue April 2016. Mica Arganaraz for V Magazine Spring 2016. Mica Arganaraz for Holiday Magazine S/S 2016. Mica Arganaraz for The Last Magazine Spring 2016. 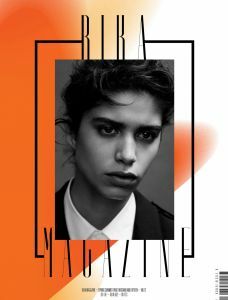 Mica Arganaraz for CR Men’s Book S/S 2016. 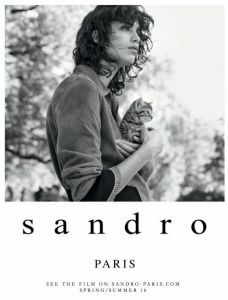 Mica Arganaraz for Sandro Paris S/S 2016 Campaign. 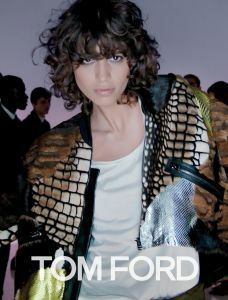 Mica Arganaraz for Tom Ford S/S 2016 Campaign. Mica Arganaraz for Chanel S/S 2016 Campaign. Mica Arganaraz for Vogue Paris November 2015. Mica Arganaraz for Vogue Paris October 2015. Mica Arganaraz for Vogue Paris August 2015. 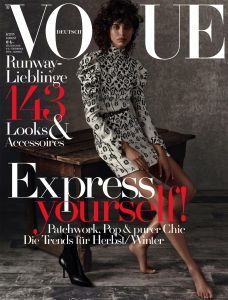 Mica Arganaraz for Vogue Germany August 2015. Mica Arganaraz for Vogue Japan August 2015. Mica Arganaraz for Vogue Paris June/July 2015. Mica Arganaraz for Vogue Paris May 2015. 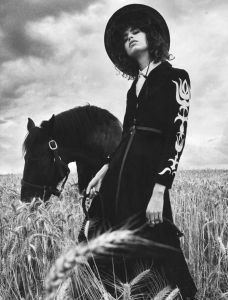 Mica Arganaraz for VAMP Magazine #3. Mica Araganaraz for Harper’s Bazaar Argentina March 2015. Mica Arganaraz for Vogue China April 2015. Mica Araganraz for RIKA Magazine S/S 2015. Mica Arganaraz for Vogue Paris March 2015. Issa, Julia and Mica for Vogue Paris February 2015. 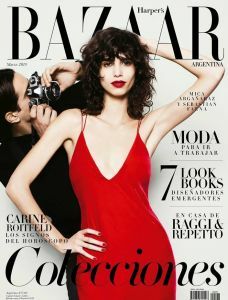 Mica Arganaraz for Harper’s Bazaar US February 2015. Imaan and Mica for Givenchy S/S 2015 Campaign. 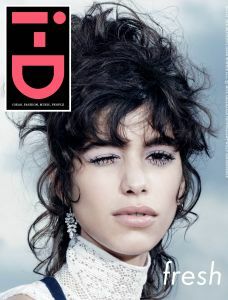 Mica Arganaraz for i-D Magazine Winter 2014. Mica Arganaraz for Vogue Spain November 2014. Mica Arganaraz for Vogue Paris September 2014. 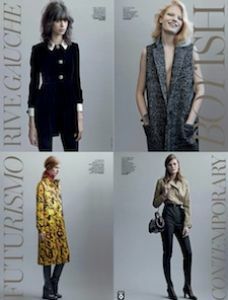 Eleonora, Lena, Mica & Roberta for Marie Claire Italia September 2014. Mica Arganaraz for Prada Fall/Winter 2014 Video. Mica Arganaraz for Prada F/W 2014 Campaign. Mica Arganaraz for Amica Magazine May 2014. 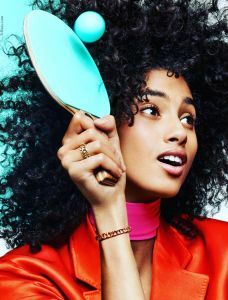 Mica Arganaraz for Numéro April 2014. 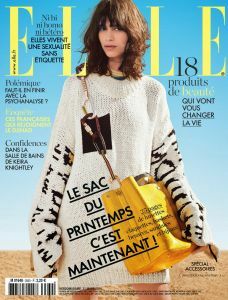 Mica Arganaraz for Elle France March 2014.